In October, we reported that Angus Genetics Inc would be including feed intake data into $F and $B indexes. On December 5th, 2014 those changes took effect. In our October poll, 91% of the respondents indicated that they considered including feed intake data as an improvement to the $B index. And, the data backs this up (see here for more about our data-driven philosophy). Since 2004 the American Angus Association has seen an increasing genetic trend for feed intake. This means Angus producers have been indirectly selecting for increased feed intake, which is a negative when we are striving for more efficient cattle. Figure 1. Deregressed estimated breeding values for birth and weaning weight plotted against birth date. 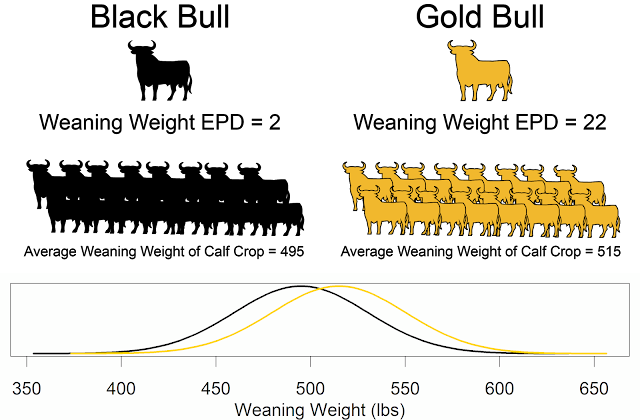 Deregressed estimated breeding values plotted against birth date for 3,570 Angus animals. The blue lines represent fitted linear and red lines represent fitted quadratic regressions. a. Deregressed birth weight EBV, and b. Deregressed weaning weight EBV. One of the best examples of moderating one trait while improving others is the relationship between birth weight and other production traits. Since the mid-1980s Angus producers have been decreasing birth weight and the associated calving problems while increasing correlated traits such as weaning weight and carcass weight. This is perhaps one of the great accomplishments of modern animal breeding—the ability to break apart negative relationships between traits. Including feed intake into $B will allow Angus breeders to break the negative relationship between production and feed intake. The USDA funded Beef Feed Efficiency Project has provided many of the phenotypes used in the Angus feed intake EPD calculation. 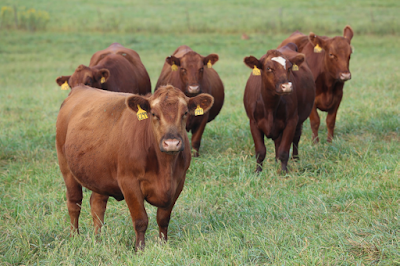 The Beef Feed Efficiency Project will continue to work with breed associations and producers to provide tools and resources for the improvement of feed efficiency. For more information on changes to $B and $F see this FAQ sheet by the Angus Association.